Noisy toilets, clogged toilets, poorly flushing toilets, running toilets… the list seems like it could go on and on, but the common theme is that no matter the issue, it is extremely frustrating when your toilet or Richardson plumbing doesn’t work. Richardson Plumbing Pro understands your frustration and realizes how trying it is when something you rely on everyday seems to break for no reason. If your sink is draining well, it’s probably a clog in your toilet trap. If your sink also drains slowly, you may have a more serious issue — an obstruction in your main sewer line (such as tree roots), or sludgy build-up. In this case, a Richardson plumber should be called. If you have kids, the clog could also be a toy, sock or some other science experiment. Using a plunger can probably give you temporary relief, but if the clogs recur often, call a Richardson plumbing specialist. We are happy to diagnose your plumbing needs and get things working properly again. Our associates perform both simple toilet repairs to more complex toilet relocations or replacement. If you are having problems with your current Richardson toilet it may be time to consider a new fixture. We know when it comes to the best toilet it really is what the consumer wants. Everyone is different and everyone has different tastes when it comes to picking toilets for their house. Richardson Plumbing Pro can help with those choices and options. Some residents or business owners may go for the conservative less expensive toilet while others may go for the very expensive toilets. When choosing the best toilets for your use there are several factors to consider. The least expensive toilets work very well but do nothing for conserving water - most of them average 1.6 gallons per flush. There are the toilets which work better not only for the economy but for your pocket book as well. Many of the more economical toilets use about 1.1 gallons per flush. Next, there are the toilets that don't come close to being economical but they sure look good in the new homes. Most of these use at least 1.6 gallons per flush, they need power to assist the air flush and they have lids that go up and down on their own. It really is all about doing your homework and deciding what is going to work best for your home or business. You need to be the one to decide on the avenue you are going to follow and we can help you make an educated decision. So if you are having toilet issues, don’t wait to give Richardson Plumbing Pro a call at 972-546-2974. 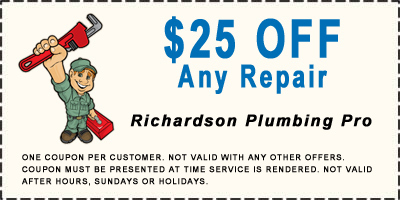 We are available 24/7 with your Richardson plumbing emergencies. 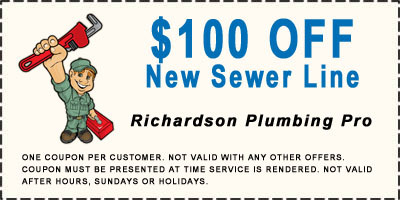 Call now for an expert Richardson plumber to help with faulty toilet operations or any other plumbing task. Obviously, if your toilet is constantly making a running water sound, you likely have a leak, and you’re wasting a lot of water. 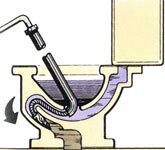 If you’re not sure about the seal of your flapper, all you have to do is put a few drops of food coloring into your toilet tank. Wait a few minutes and then look in the toilet bowl. If you see that your bowl has the same color, then you’ve got a leak. The fix may be as simple as a flapper valve replacement or a more complicated flush valve replacement. Whatever the fix, we are the Richardson plumber toilet experts. 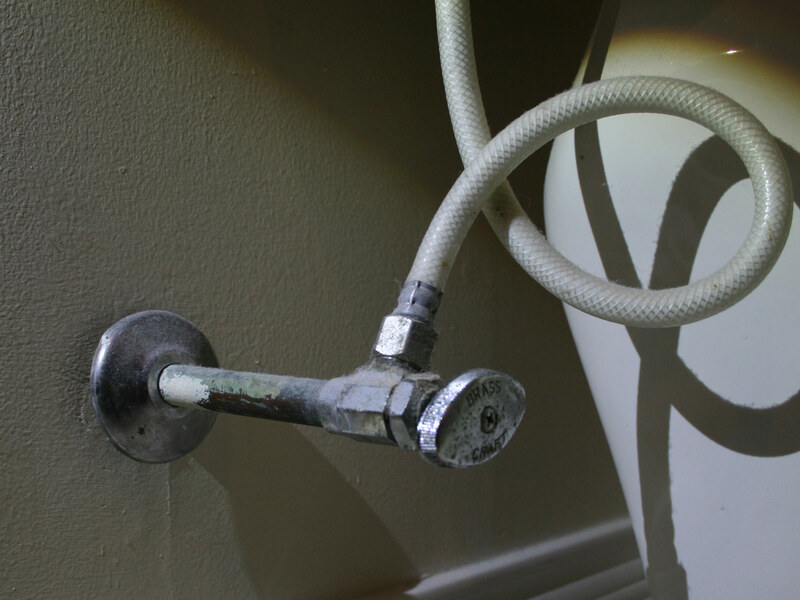 If you notice water around the bottom of your toilet or your toilet wobbles, you may need to replace the toilet flange. The toilet flange has two jobs. It is the pipe fitting that connects the drain of the toilet to the floor drain, and it holds the toilet securely to the floor. Over time, the toilet may either loosen or the flange cracks. If it loosens you can simply tighten the flange bolts. Be very careful that you don’t crack the toilet or the flange by over tightening. If the flange is broken then the toilet needs to be removed and the flange replaced. This job could be much more complicated. 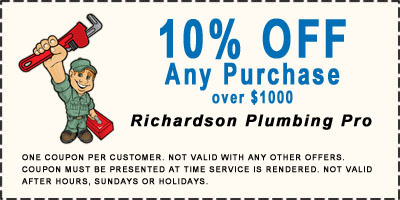 If in doubt, Richardson Plumbing can get your issue diagnosed and resolved quickly and affordably. 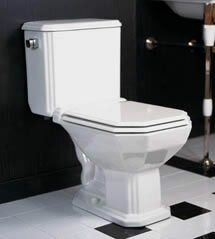 If you see a toilet overflow begin, quick action to shut off the water flow is critical. The simplest way to stop the flow is the shut off valve on the supply line. Another quick way to shut off water flow is to remove the tank lid carefully and raise the float valve manually. These simple steps can help prevent a messy clean up. One of the most overlooked parts of the toilet is the water supply shut off valve. Several times a year, simply turning off the water supply to the toilet and turning it back on can help save you from major problems in the future. If the valve fails to turn off the water supply completely, then its time to have it replaced. Comfort height toilets are not just for the handicapped. A standard toilet sits about 14 inches from the floor while a comfort height toilet is nearly 17 inches. That doesn’t seem like much but for the elderly and tall person it makes a big difference. The cost is not that much more so if you are thinking of a new toilet, it might be time to consider a comfort height toilet. Call us for an estimate on all toilet repair or replacement needs. If you see water forming around the base of the toilet or smell sewer gas, then this could be a sign of a wax ring failure. The wax ring creates a seal between the sewer and the toilet. If the ring fails then water and fumes can enter the home. 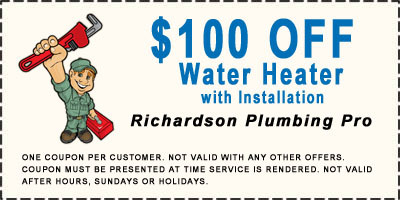 For this and any toilet repairs in your home or office, give us a call for your an expert Richardson plumber today.